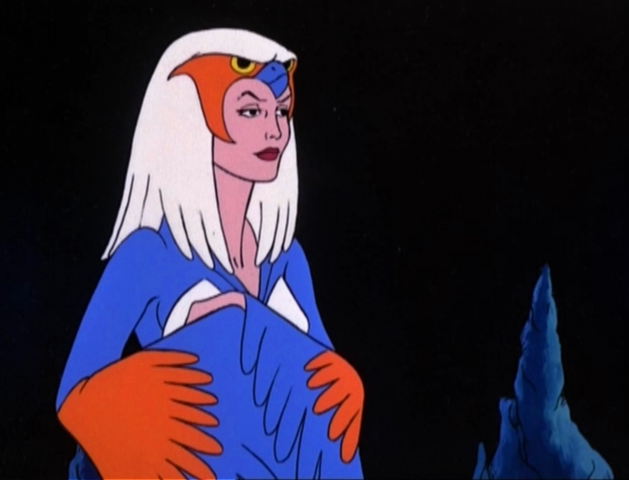 She's Fantastic: MOTUC Filmation Style - SORCERESS! MOTUC Filmation Style - SORCERESS! Despite all my obvious obsessions, He-Man and the Masters of the Universe is not a property I naturally would have gravitated to as a child. Warriors and swords were just a genre I had no connection to. My interests were completely focused on animals. I grew up on a mountain in the middle of nowhere without a neighbor for miles, only three fuzzy TV channels, and parents who trusted us to roam free. Animals were literally my entertainment. I knew where to hide to catch glimpses of fox, rabbit, and deer, I knew all my bird calls, and I collected (live) insects. I was pretty single-minded so all my cartoon favorites were loaded with animal lore. I liked Voltron for the robotic cats, I liked G.I.Joe because the villains were all snake-themed, I liked Transformers because of the Insecticons, ThunderCats, SilverHawks, and TigerSharks are obvious. 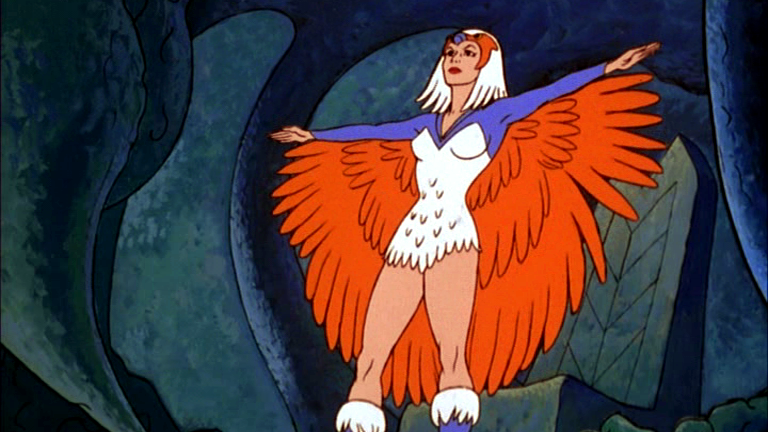 And of course I loved this little show called He-Man and the Masters of the Universe because the title sequence featured a feather-clad woman who transformed into a falcon. I'm sure it's not shocking news to learn that most of my imaginary play back then involved me turning into an animal (so if we ever see any rebooted Bravestarr toys, expect a rant). 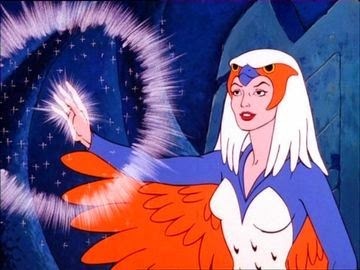 So it was inevitable that the Sorceress would become a major fixation of mine for years. There was a local farm/feed store my parents would go to that had a small drugstore-like toy section in the corner. 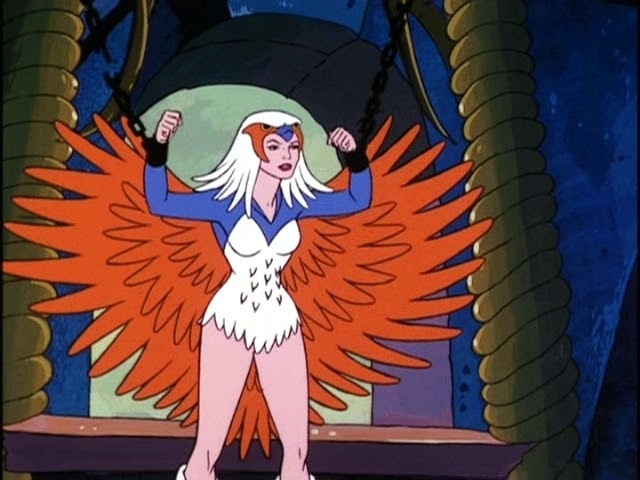 There was a Sorceress action figure hanging there for years but my parents would never let me get it. I finally got one in great condition post college and I adored her, but I've wanted an updated one for years. Just a classic looking Filmation style which had somehow eluded us all these years. I really like this figure. It gets a lot of hate online. People don't like the face or the legs, but I honestly don't understand the complaints. Let's check her out below! I think she looks terrific. The one paint complaint I can see people having is that her lip paint doesn't follow the sculpted lip lines too well. After I took these photos I touched her lips up and she looks even better. Sorceress comes with two sets of wings: outstretched and folded-down. Each has three pegs that fit into holes between her shoulderblades and on her wrists. 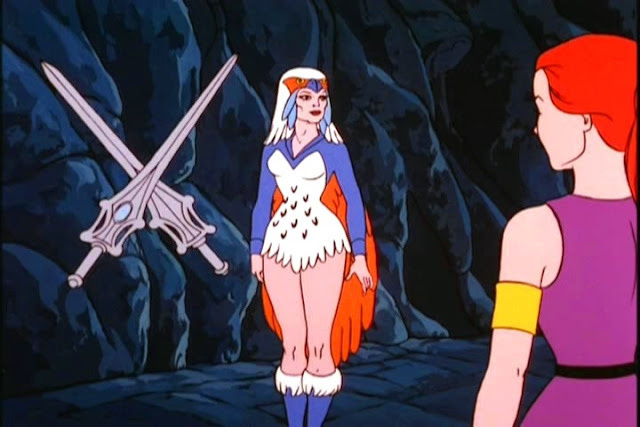 The Sorceress we all know and love is Teela-Na, but in the episode The Origin of the Sorceress, we meet her predecessor, Kuduk Ungol (notable for the blue feathers framing her face and an overall older appearance. Sorceress also came with a secondary Kuduk Ungol head. I love that Super7 included this because I definitely would have bought this as an entirely separate figure if offered. The Zoar accessory is awesome. I didn't realize there would be such a difference between the Filmation and Vintage toys versions. The holes in the feet seem way to small for the pegs on the perch, but with some slow steady pressure they fit in. I bought and opened two Sorceresses, therefore I had two extra heads to play with. I tried to repaint one to looks more like the Four Horsemen paint master. It was hard, and I added too many light reflections in her corneas, but it was a fun experiment. I like the untouched one better, but like I mentioned above, I eventually made the head on the Left have lips more like the one on the Right (but I didn't take any pictures). Here are Teela-Na and Kuduk Ungol side-by-side. Here she is with the two other Filmation females in this line so far: Teela and Evil-Lyn. This figure is a massive improvement over the 2012 MOTUC version (which at the time I thought was the greatest thing ever). I quite like her. I was debating if I should buy 2, but think I'll stick with the one & use the Ungol head...just to have an all new character on the shelf.